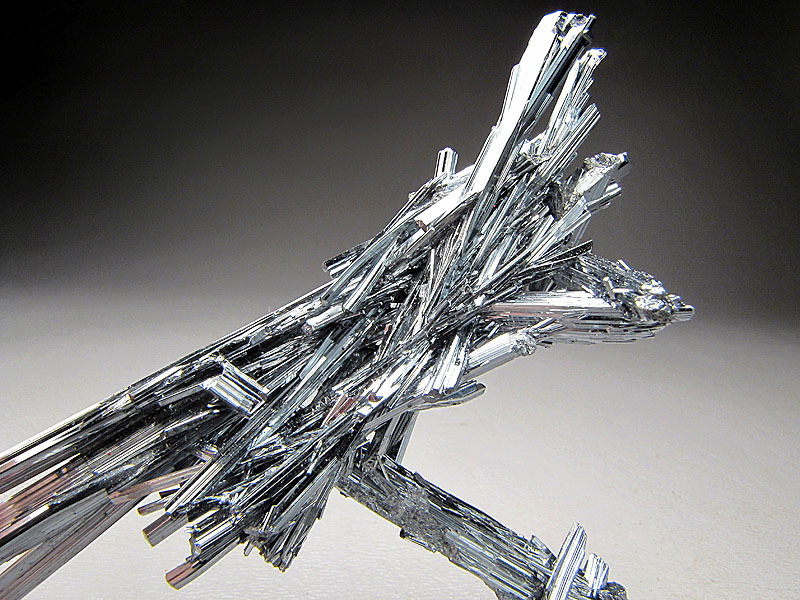 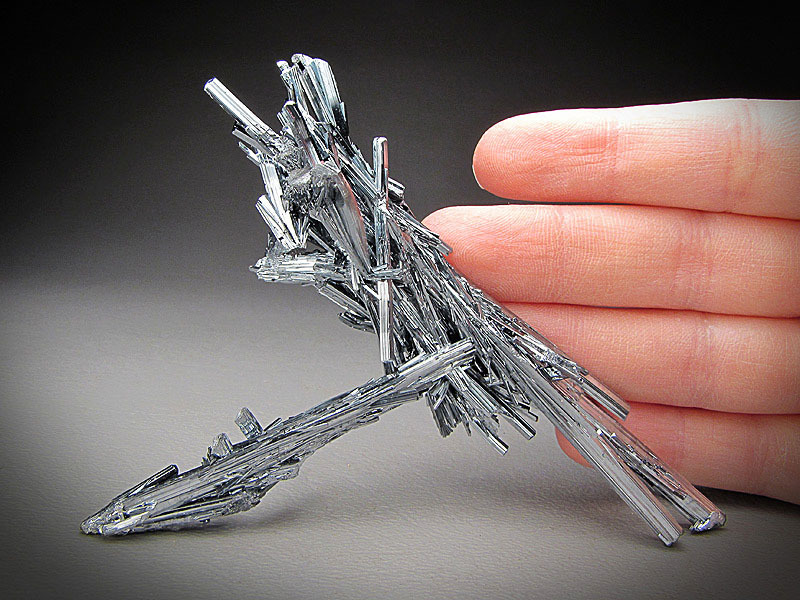 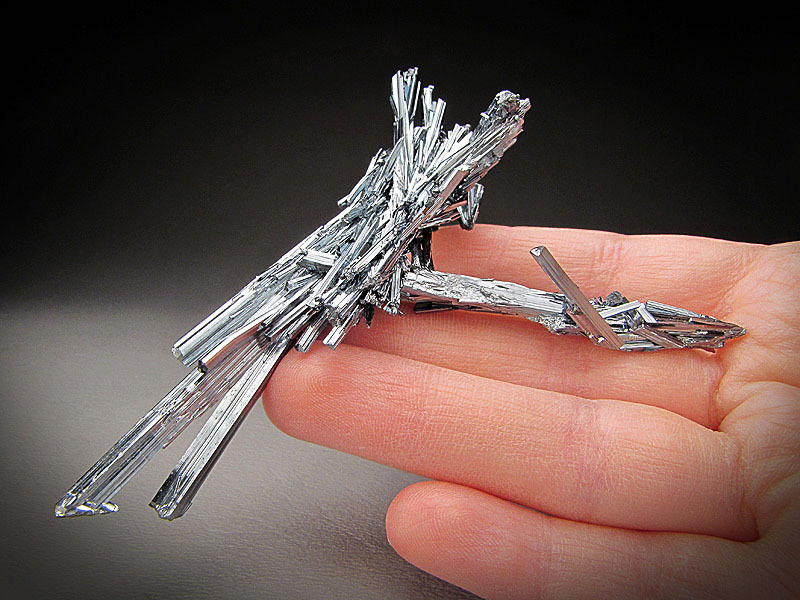 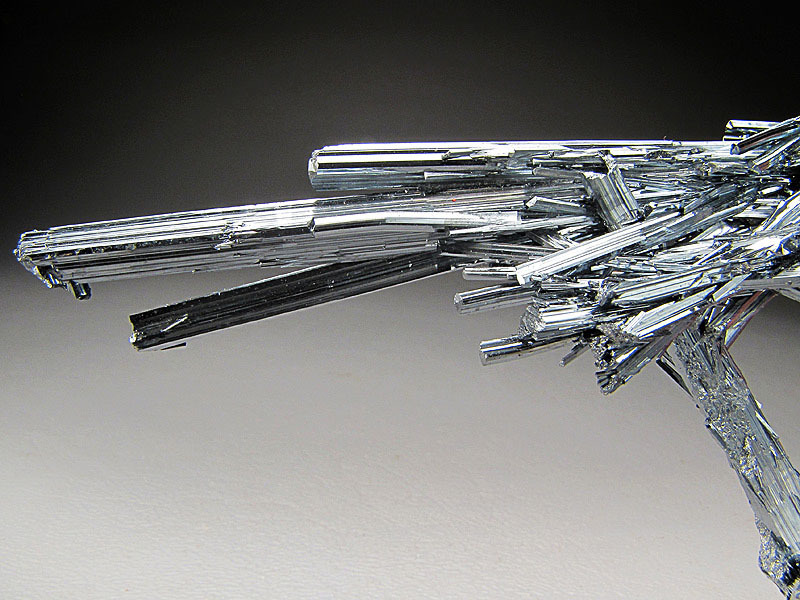 A sparkly cluster of stibnite crystals is presented here. 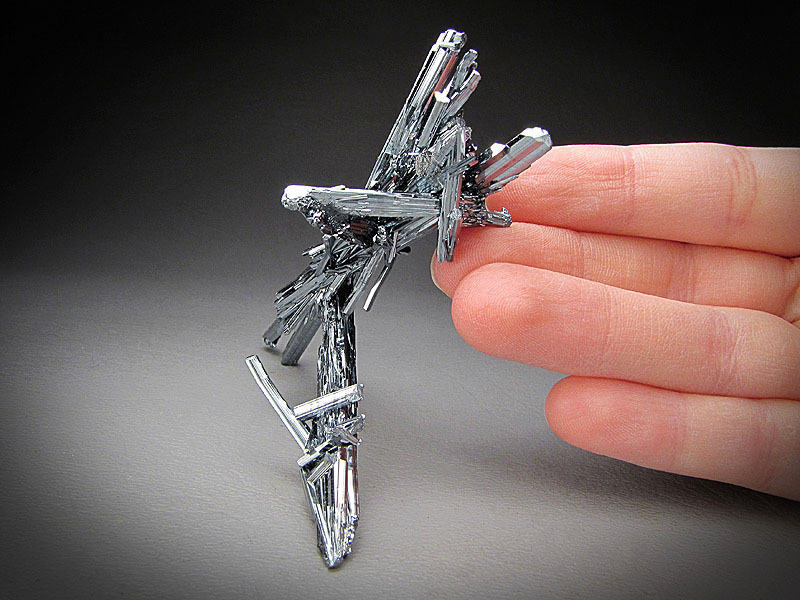 The specimen measures 7.2 cm wide by 10 cm tall and 3.6 cm front to back. 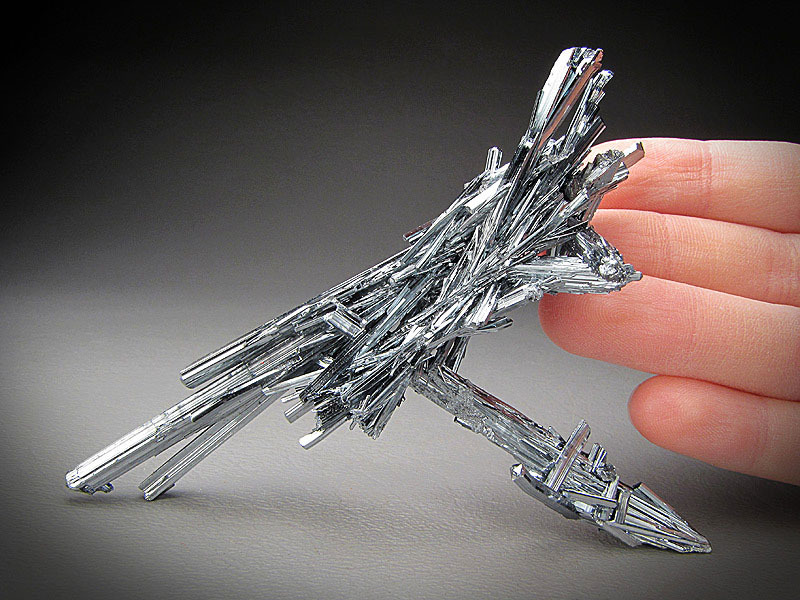 This piece is from the Xikuangshan Antimony deposit, Loudi Prefecture, Hunan Province, China. 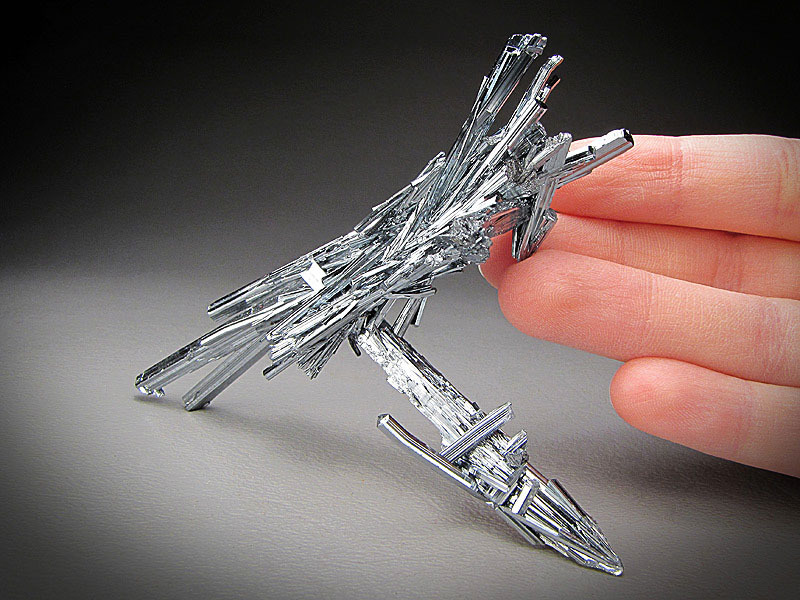 There is damage to some of the free standing crystal tips.